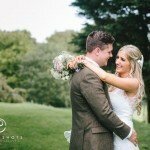 Lisa and Nick made a decision early on in planning their wedding – to forgot tradition or what they ‘should do’, and instead, do whatever they want. 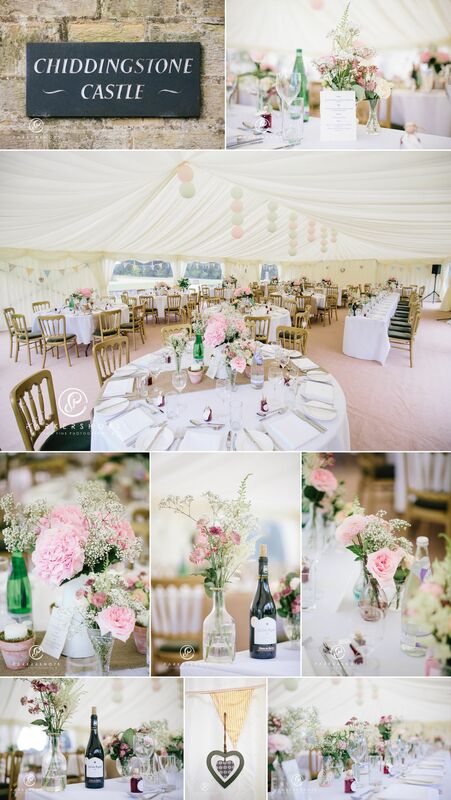 I’m so glad they did, as it resulted in one of the most incredible weddings I have had the pleasure of photographing. 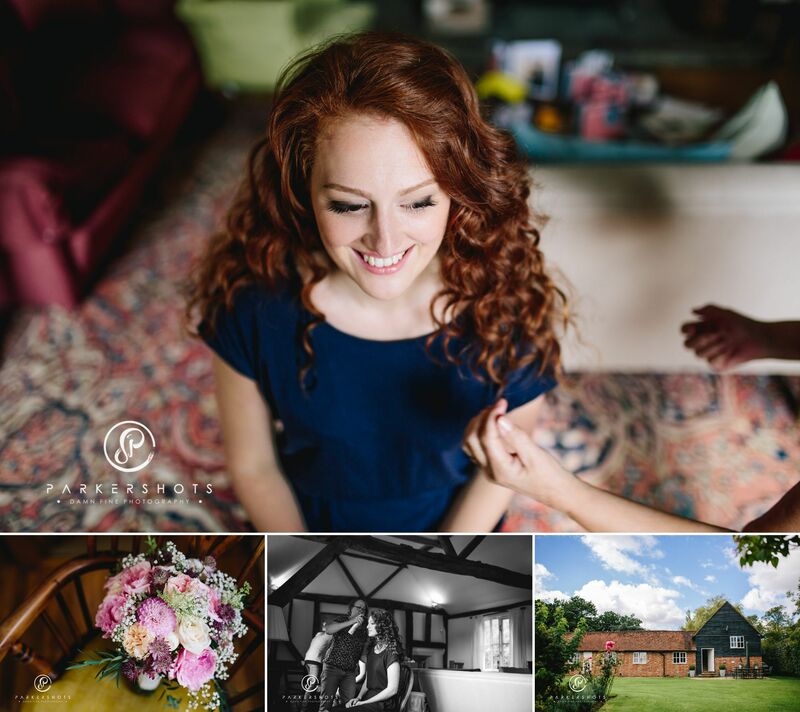 This breaking away from the norm was evident from the start of the day, when I joined Lisa, her mum and bridesmaids at a holiday home they had rented for the occasion. What a brilliant idea! Using companies like AirBnB, and Holidays lettings, you can find all sizes of homes for hire in all locations, offering better value for money and often nicer and more relaxed surroundings than any hotel can offer. You also have privacy, more character, and in this case, some beautiful light to work with. I was very happy with this choice. 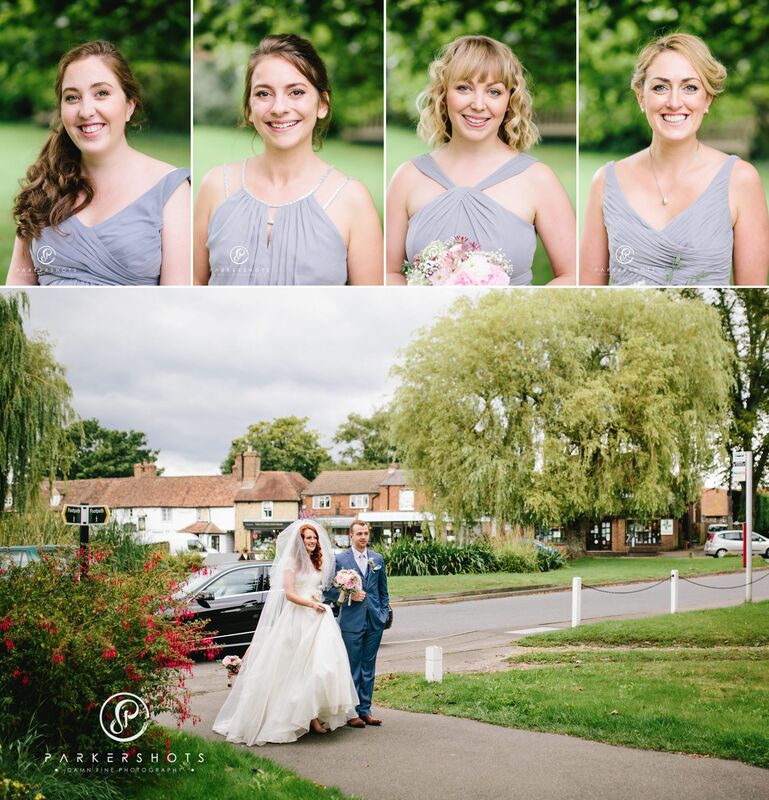 During this time, Lisa gave gifts to her bridesmaids and opened one from her fiancé, Nick – a pair of Converse trainers that had been customised by her friend Sophie Harriott. 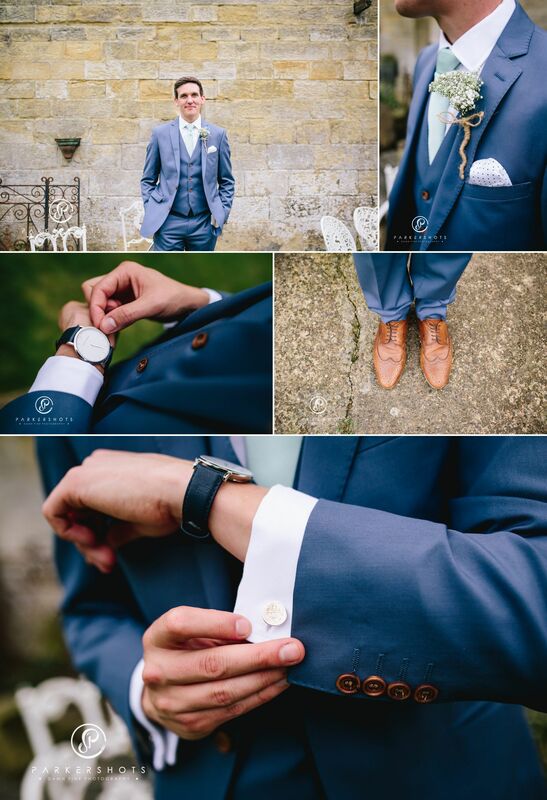 Similar to this, on my wedding day, I had bought a pair of grey Converse All Stars to match my suit, especially for the First Dance and every dance after that, so truly appreciated this style choice. 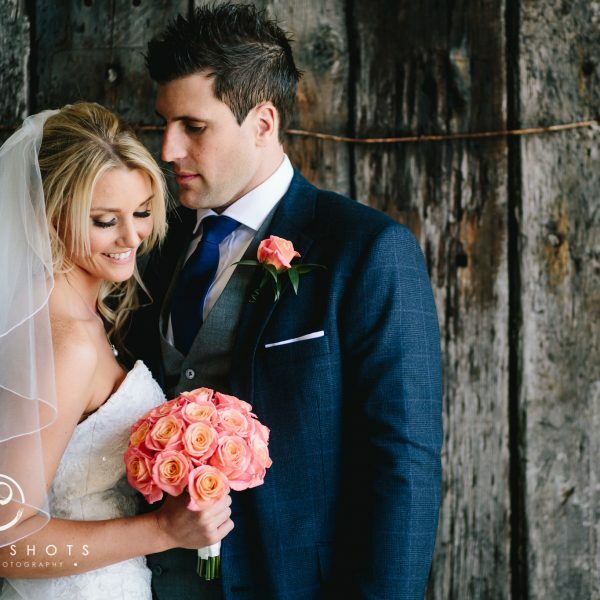 Nick, had also moved away from tradition of a formal morning suit, and instead had picked up suits from French Connection for him and his ushers. By changing the buttons to a light brown, he made a small amendment that had a big effect. The result looked first class. The ceremony being in a church was probably the most traditional aspect of the day, but even that wasn’t your usual church service. 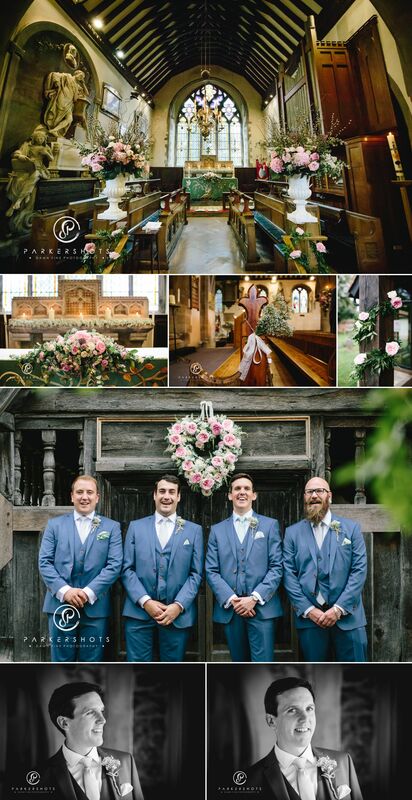 Lisa and Nick had chosen some incredible floral displays for both inside and outside St. Bartholomew’s Church in Otford, making a beautiful church look even more amazing. And the service itself was personal, friendly, and celebratory. 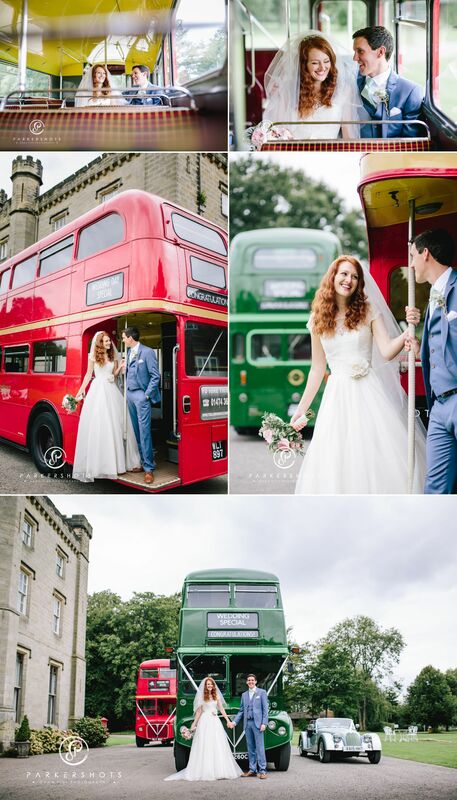 After the ceremony, there was a classic Green Double Decker Bus parked outside to transport the guests to Chiddingstone Castle, and a Morgan Sports Car for the bride and groom. If at all possible, I believe the act of driving away in this car made the already happy couple even happier. 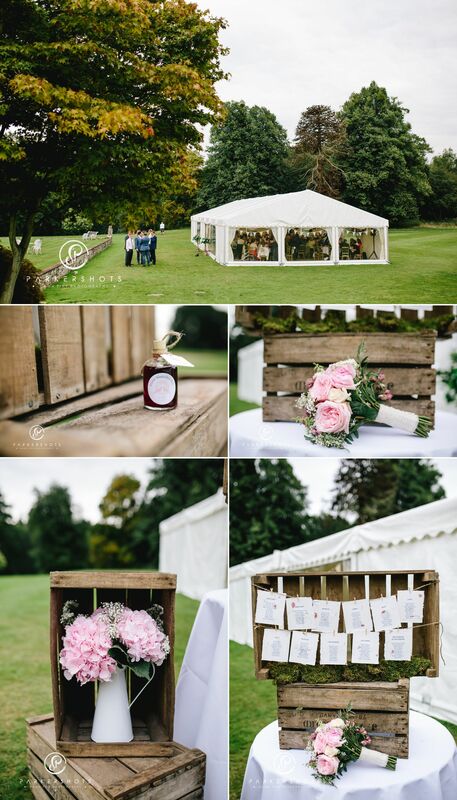 At Chiddingstone Castle, Lisa and Nick had a marquee for their wedding breakfast which had been decorated beautifully with lots more flowers and little touches. 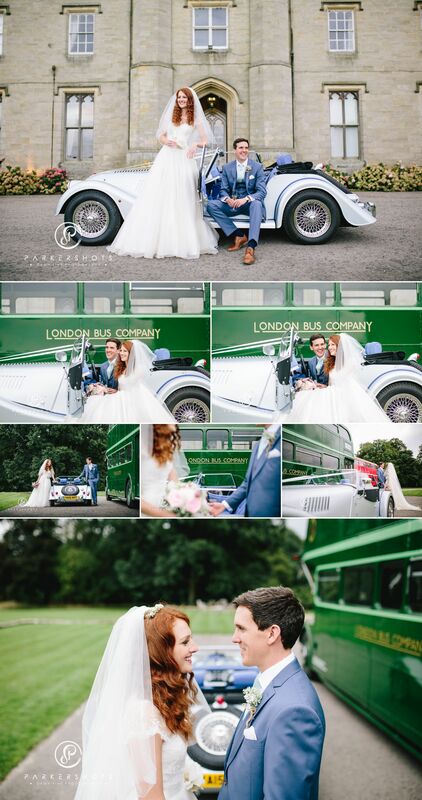 After the guests arrived, I had the opportunity to capture a few portraits of the bride and groom with the bus and the Morgan, before we joined their guests at The Orangery for drinks, canapés, and some group photos. They had musicians on strings providing some beautiful background music, and a Guinness bar set up giving fuel to a clearly happy and appreciative group. 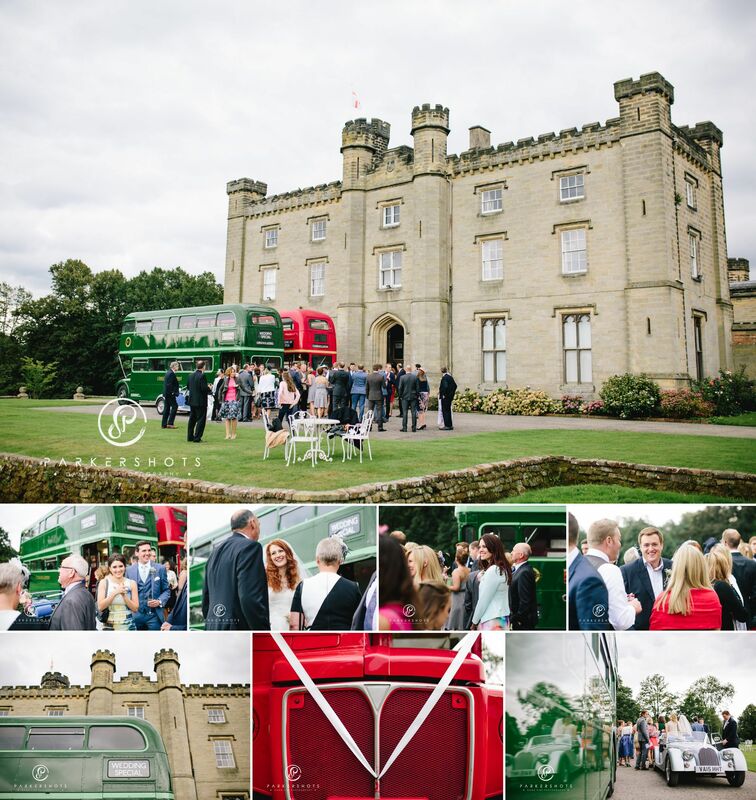 As the guests were called to be seated, I took the bride and groom a long way around for some more portraits, taking advantage of the amazing potential for wedding photography that Chiddingstone Castle has on offer. Lisa and Nick also popped out of the marquee for some more portraits in front of castle during the meal. 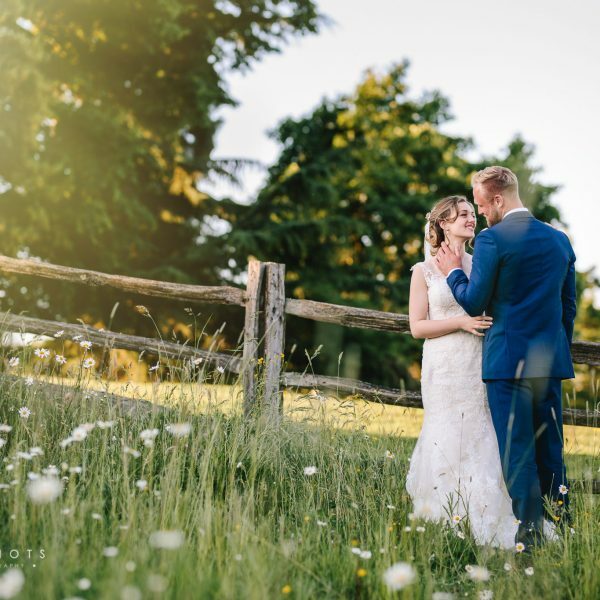 It makes it so nice and relaxed when you can just walk out of a marquee and be immediately in front of an incredible backdrop. 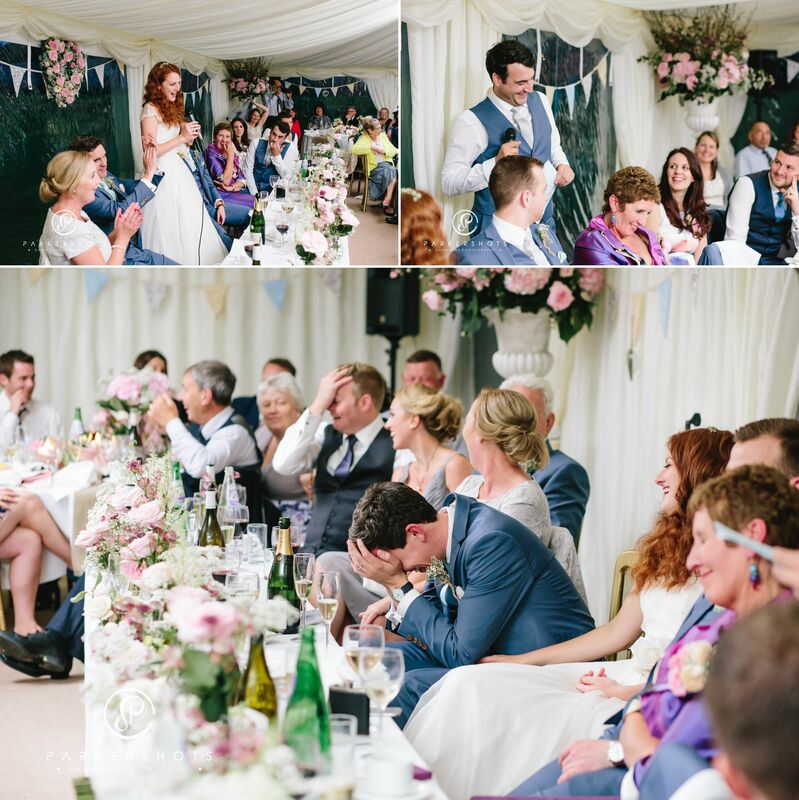 Lisa’s brother, who had given her away during the ceremony, gave a beautiful speech that was a perfect mix of pulling at the heart strings and causing stomach cramping laughter. 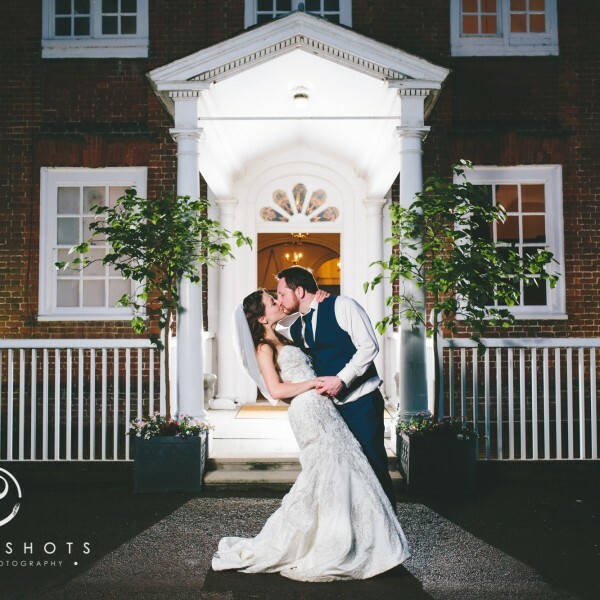 Breaking away from tradition again, it was Nick and Lisa who gave speeches afterwards, and before the best-man – all occurring as the sun set and bathed the marquee in some beautiful golden light. 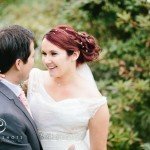 With darkness set, everyone moved into the castle for the cake cutting and first dance. 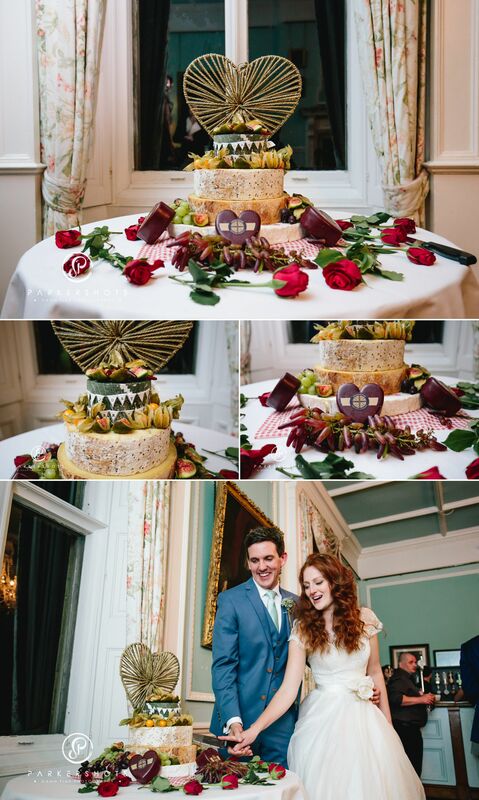 Their cheese cake was definitely one of the most stylish and well decorated cakes I have seen, and was one more example of this couple’s love of all things edible. 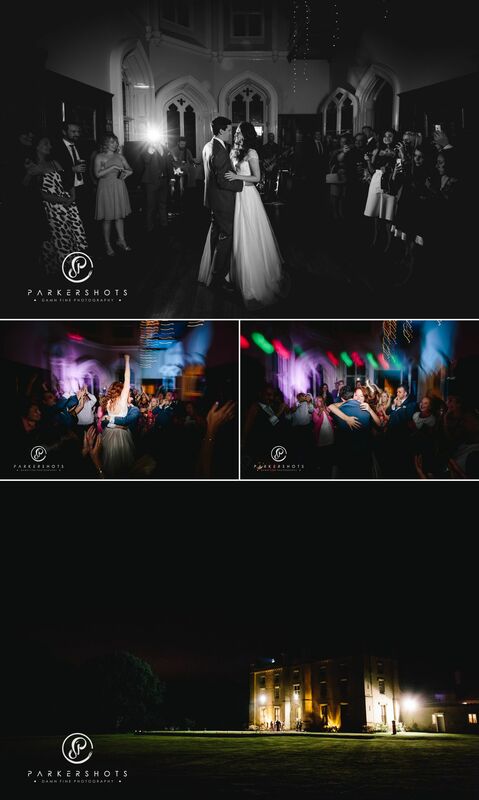 The first dance was beautiful but was it was the moment the dance ended, when Lisa punched the air in celebration, and then hugged Nick, that stood out for me. 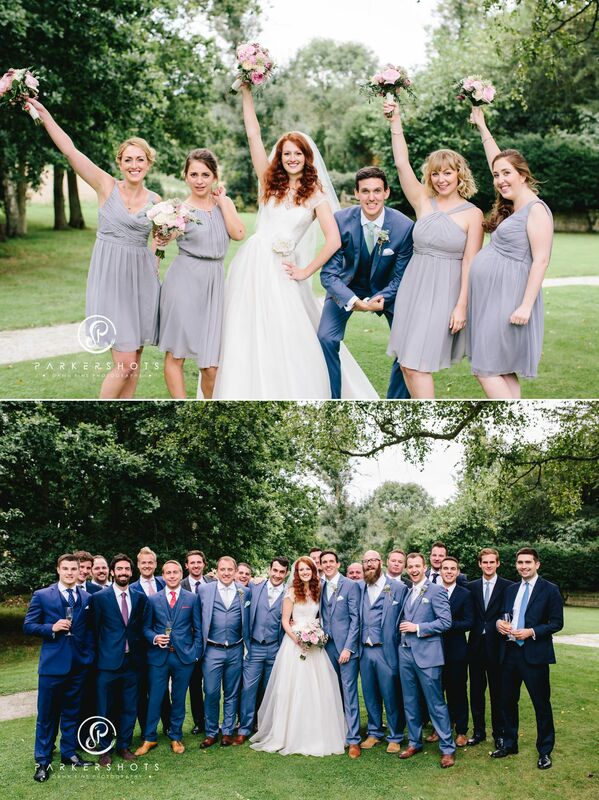 Official wedding day responsibilities were now over, and the time to party had truly begun. 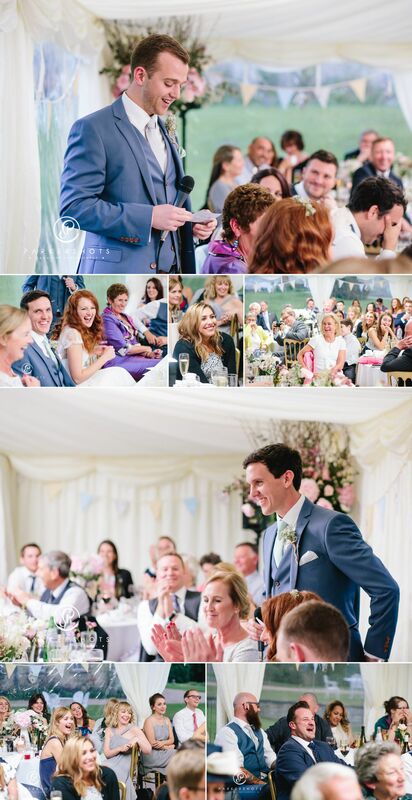 The love they felt for each other was evident for all and they all smiled on, loving being a part of this special day. 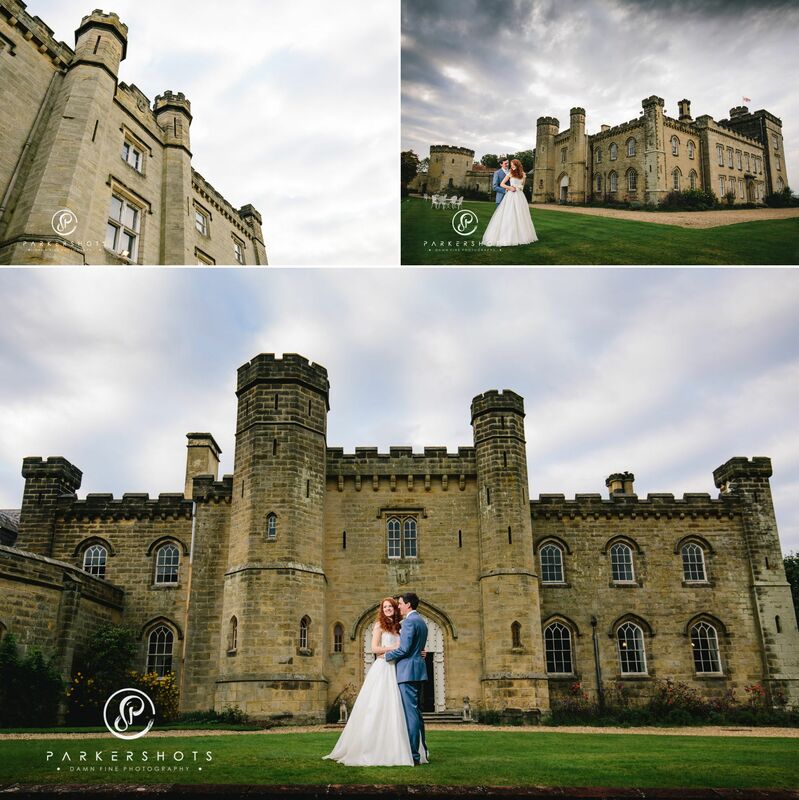 I’ve loved being a wedding photographer at Chiddingstone Castle every time I have worked there and this stunning wedding has made me love it even more.